A principal architect of the Stax/Volt sound, singer/composer William Bell remains best known for his classic "You Don't Miss Your Water," one of the quintessential soul records to emerge from the Memphis scene. Born William Yarborough on July 16, 1939, he cut his teeth backing Rufus Thomas, and in 1957 recorded his first sides as a member of the Del Rios. After joining the Stax staff as a writer, in 1961 Bell made his solo debut with the self-penned "You Don't Miss Your Water," an archetypal slice of country-soul and one of the label's first big hits. A two-year Armed Forces stint effectively derailed his career, however, and he did not release his first full-length album, The Soul of a Bell, until 1967, generating a Top 20 hit with the single "Everybody Loves a Winner"; that same year, Albert King also scored with another classic Bell composition, the oft-covered "Born Under a Bad Sign." Bell's next solo hit, 1968's "A Tribute to a King," was a poignant farewell to the late Otis Redding; the R&B Top Ten hit "I Forgot to Be Your Lover" soon followed, and a series of duets with Judy Clay, most notably "Private Number," also earned airplay. 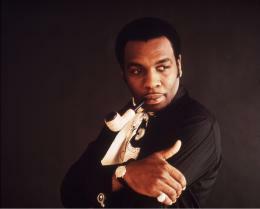 In 1969, he relocated to Atlanta and set up his own label, Peachtree; the hits dried up as the next decade opened, but in 1977 Bell capped a major comeback with "Trying to Love Two," which topped the R&B charts. In 1985, he founded another label, Wilbe, and issued Passion, which found its most receptive audiences in the U.K. (although "I Don't Want to Wake Up Feeling Guilty," a duet with Janice Bullock, was a minor U.S. hit). In addition to subsequent LPs, including 1989's On a Roll and 1992's Bedtime Stories, in 1987 Bell was inducted into the Georgia Music Hall of Fame, that same year receiving the Rhythm & Blues Foundation's R&B Pioneer Award. After 1992, Bell took a lengthy hiatus from the recording studio, though he still performed regularly. In 2000, he released an album of all-new material on Wilbe entitled A Portrait Is Forever and followed it six years later with New Lease on Life. In between he was honored with the 2003 W.C. Handy Heritage Award.